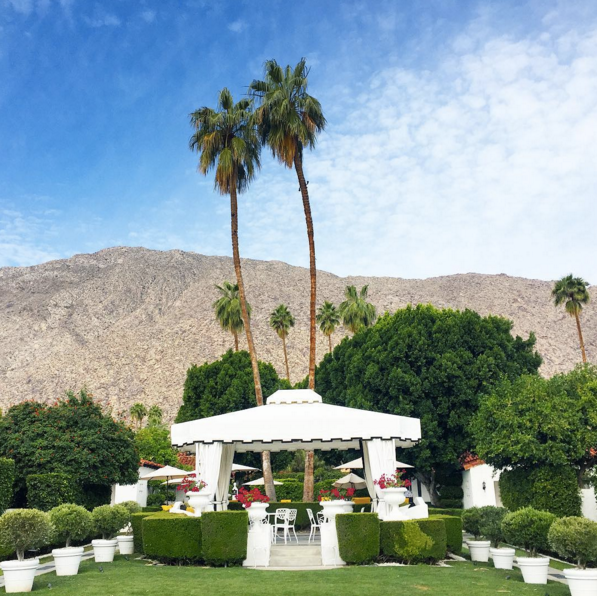 From that famous pink door to quirky roadside dinosaurs, Palm Springs is truly like no other. My favorite little oasis in the desert is only an hour and a half outside of Los Angeles making it easy to get away for the day or a quick weekend trip. Most of you may know it from the famous Coachella Festival but there are so many other hidden gems and reasons to take a trip there. 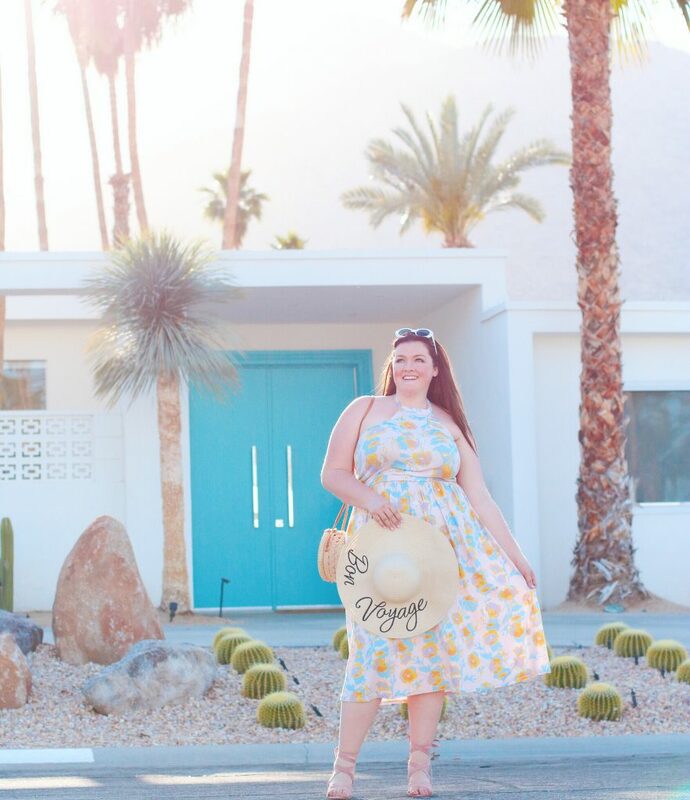 Without further ado and not in any particular order, I give you my top ten favorite instagramable moments in Palm Springs. 1) PALM SPRINGS DOOR TOUR: That Pink Door – guys sadly it has been rumoured that this gorgeous pink door is no longer allowing photos! Luckily, there are several other gorgeous doors in the neighborhood that make for perfect backdrops. Please be respectful of these gorgeous houses though when taking pics! 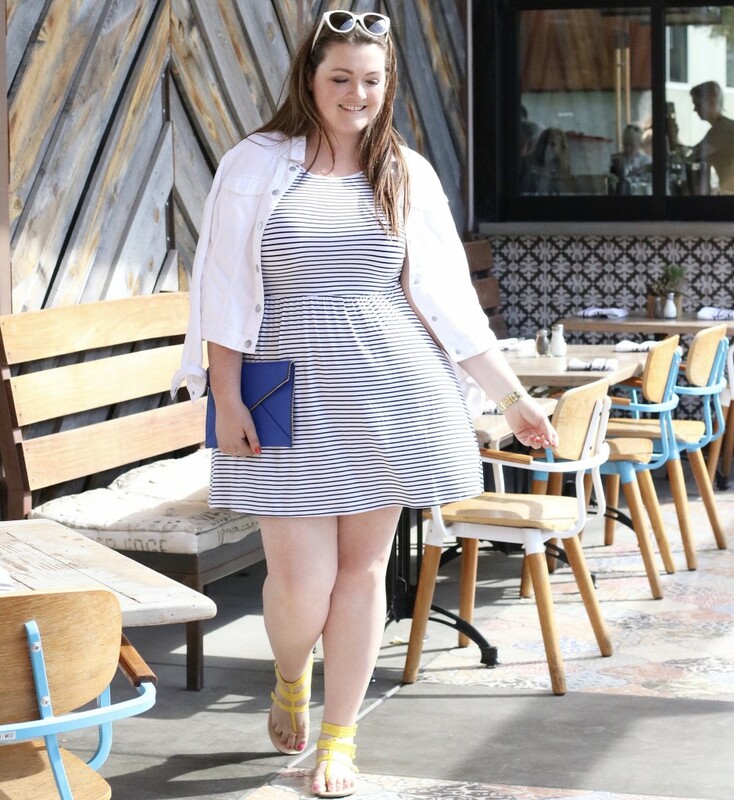 Check out The Salty Canary’s “A Palm Springs Door Tour” for more! 2) THE PARKER PALM SPRINGS HOTEL: This gorgeous desert oasis designed by Jonathan Adler, basically has every nook and cranny set up for photo opps. My personal favorite though is the front entrance. 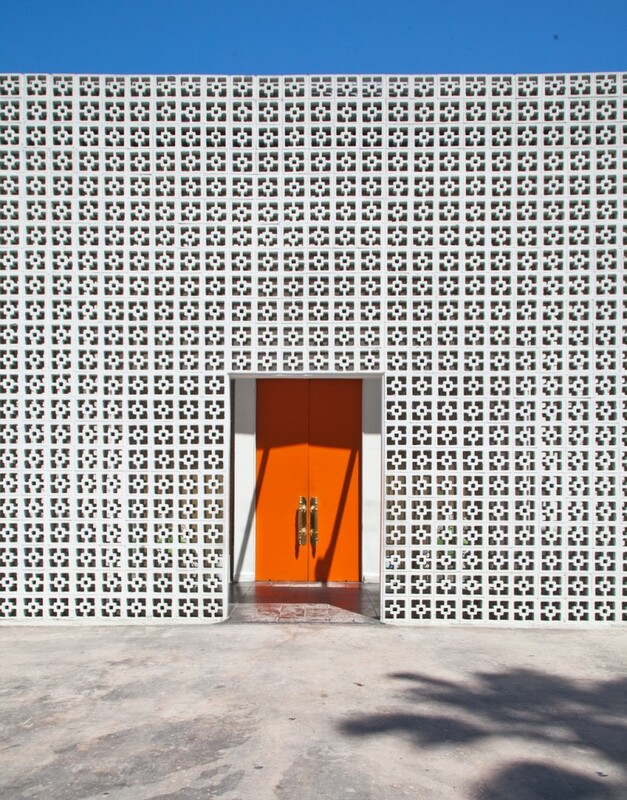 The simple white facade with a repeating geometric pattern makes for quite the picture. The gorgeous blooms that flock the sides the of the entrance and the orange door make this spot Instagram gold! 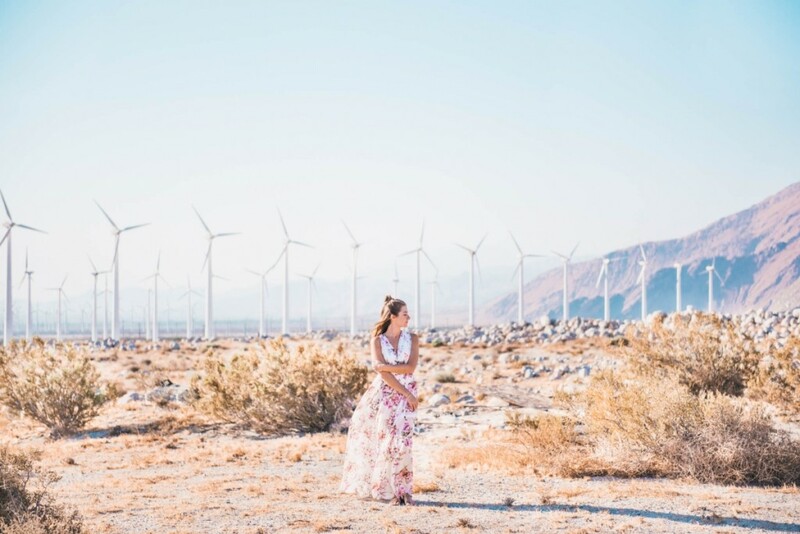 3) WINDMILLS – I have not personally shot here but if you are really looking for that iconic desert vibe and feel, this is your spot. When I find the right outfit, I will definitely take some pics here! There is a windmill park off the side of the 10 freeway: see directions below. Best Time: Sunset or Sunrise. If you go any time in-between, the sun creates a stark silhouette of the turbines in the mountain pass. Directions: To get up close, you’ll want to drive North on N. Indian Canyon Drive (inbetween the I-10 and W San Rafael Drive). Before you reach the I-10, take a left onto Garnet Ave. Drive for about 1 mile and you’ll see some side roads to the left where you can pull off and walk closer to the windmills. 4) THE SAGUARO: The Saguaro Palm Springs, 1800 E. Palm Canyon Drive, Palm Springs – This hotel just begs to be photographed. The Saguaro is what happens when an old Holiday Inn has a tryst with the Pantone color chart and gives birth to this rainbow colored baby. This color sceme is an Instagram dream and there are no shortage of photo opps here. Tip: Check out the pool area for even more of that famous rainbow interior. 5) ARRIVE HOTEL: This hotel is home to the cutest little icecream shop + shoppe and Reservoir which lends itself to plenty of instagramable moments. 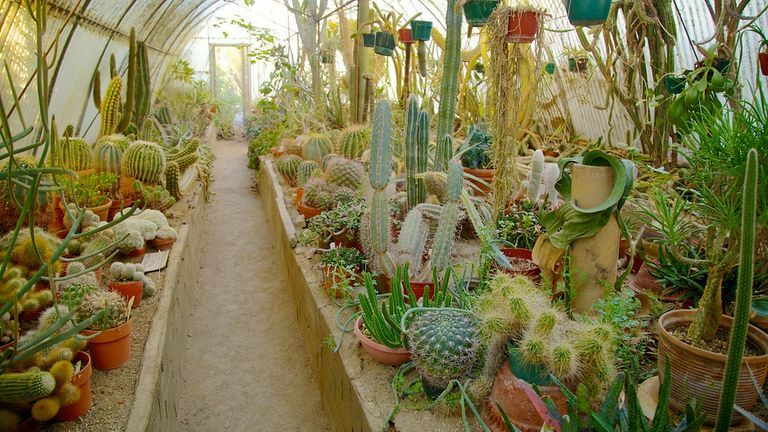 7) BOTANICAL GARDEN – visit the Moorten Botanical Gardens and Cactarium for curated cacti that will make you want to turn your current home into a greenhouse. 8) THE AVALON – This scene from the Avalon Hotel & Bungalows Palm Springs is so pretty it could be a print hanging on our walls. 9) AERIAL TRAMWAY – You could easily visit Palm Springs and sit pretty, sipping drinks poolside. 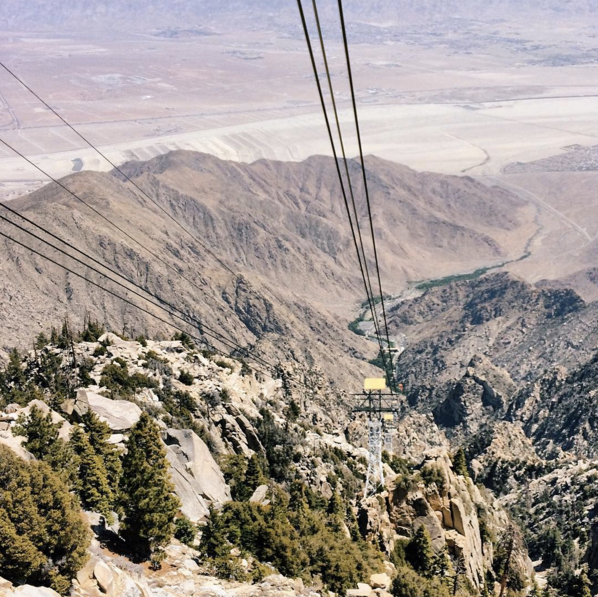 You could also venture up to the Palm Springs Aerial Tramway to see breathtaking mountain views from the sky. 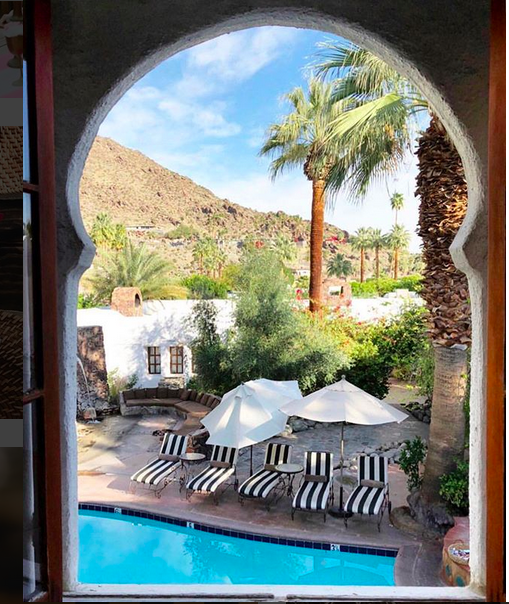 10) KORAKIA PENSIONE – Located in the center of Palm Springs but feels but feels worlds away thanks to fragrant gardens and stunning Moroccan architecture. You can’t go here and not feel like taking a picture! 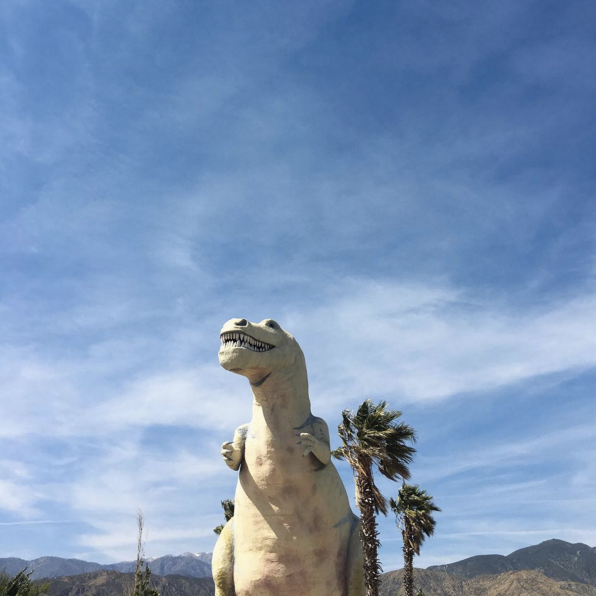 OUTSIDE OF PALM SPRINGS BUT WORTH THE DRIVE: Cabazon Dinorsaurs – Visiting the Cabazon Dinosaurs is worth it for the photo opp alone! You won’t find any factual information at this museum, but the huge dinosaur sculptures alone are worth it, don’t you think? 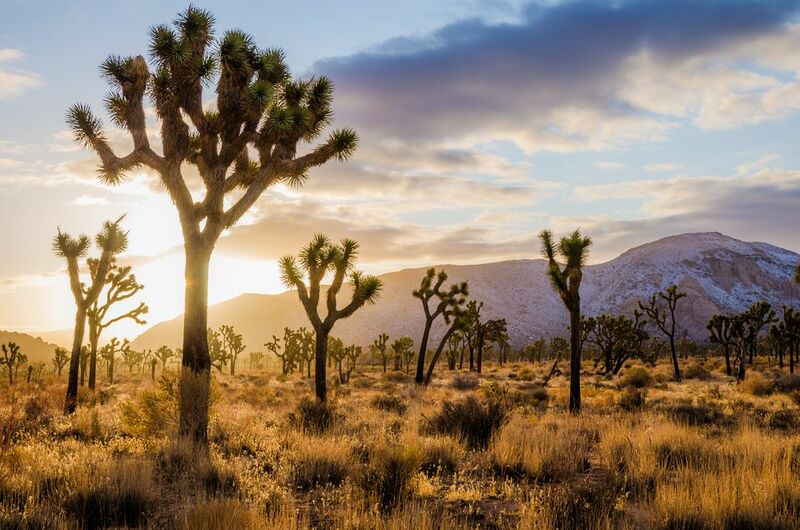 Joshua Tree National Forest – In Southern California, just outside of Palm Springs, the Mojave and Colorado deserts combine in Joshua Tree National Park. 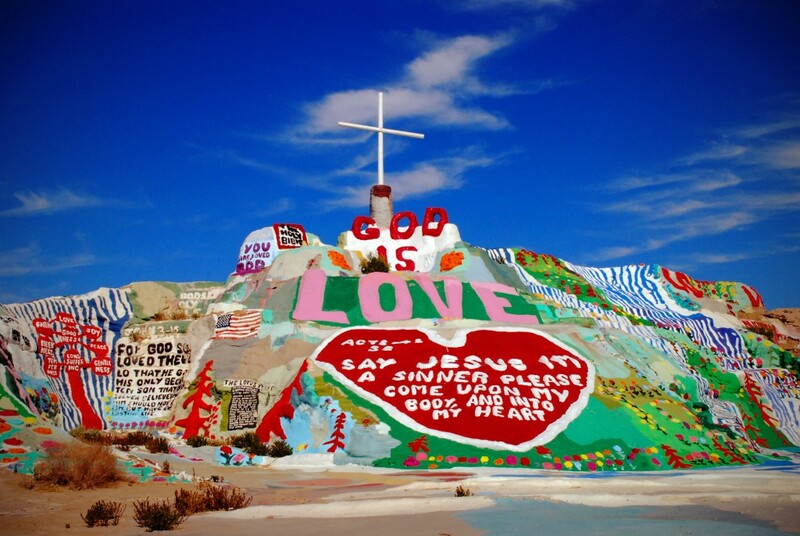 Salvation Mountain is a literal man-made mountain 28 years in the making, covered in half a million gallons of latex paint. What started as a small monument made of dirt and painted cement became, over time, a sprawling adobe and hay-bale mountain complex, with peripheral structures made of telephone poles, tires and more. Ok so maybe there are way more than 10. These just happen to be some of my favorites. Just drive around Palm Springs and the streets lend themselves to photos! 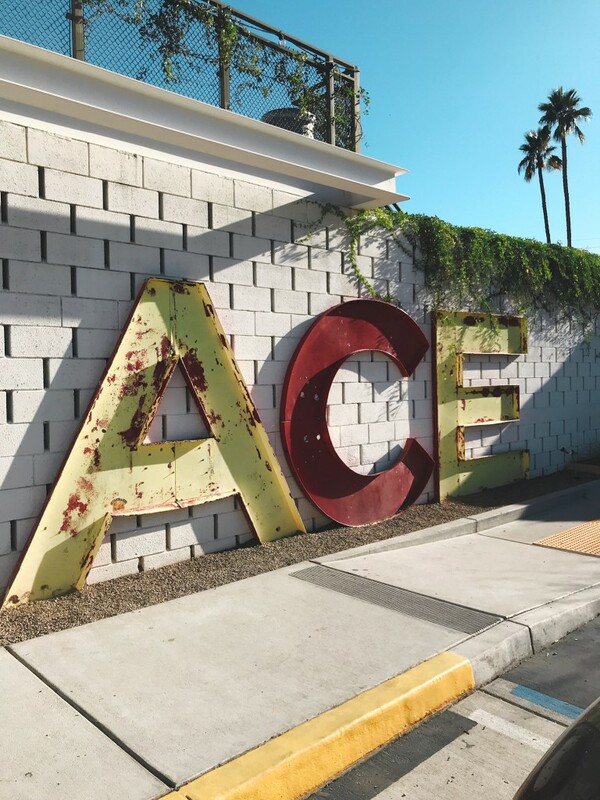 What are some of your favorite Instaworthy places in Palm Springs? I’d love to hear about it below! Since many of you have asked, stay tuned for the most instagrammable guide to Los Angeles. This is so cool. I’ve always wanted to go but haven’t made the track down to some of these spots yet. I am usually there for work lol. Awwe! Yes, its kind of magical there. I love it. What a perfect escape! I need to go like yesterday. My boyfriend would love all these spots too lol.